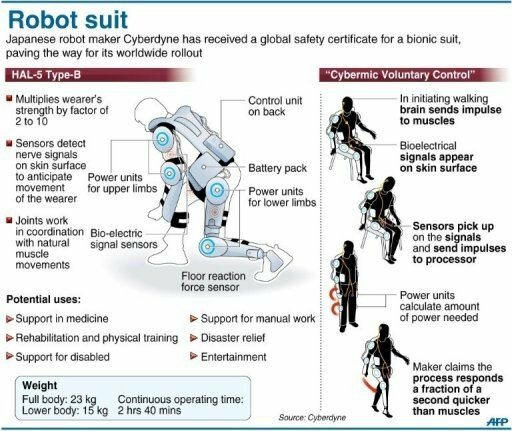 You read that right, a company in Japan called Cyberdyne has created a powered exoskeleton called HAL. But unlike its fictional namesake, this company is a venture firm which was established by Dr. Yoshiyuki Sankai, of the University of Tsukuba, Japan, in order to materialize his idea to utilize “Cybernics” for the benefits of humankind in such fields as medicine, caregiving, welfare, labor, heavy works, and entertainment. 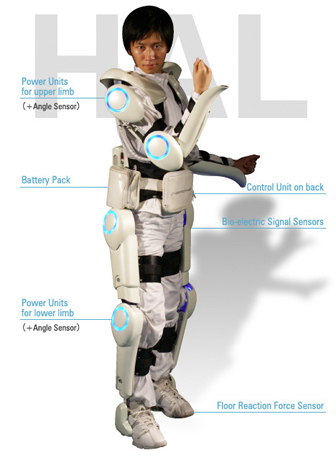 HAL® (Hybrid Assistive Limb®) is the world‘s first cyborg-type robot, by which a wearer‘s bodily functions can be improved, supported and enhanced. Wearing of HAL® leads to a fusion of “man”, “machine” and “information”. HAL® assists a physically challenged person to move and enables him or her to exert bigger motor energy than usual. HAL® is also considered as the system that accelerates a motor learning of cerebral nerves. The demonstration video is amazing, but I wonder, had Christopher Reeve had access to HAL would Superman be turned into The Terminator?